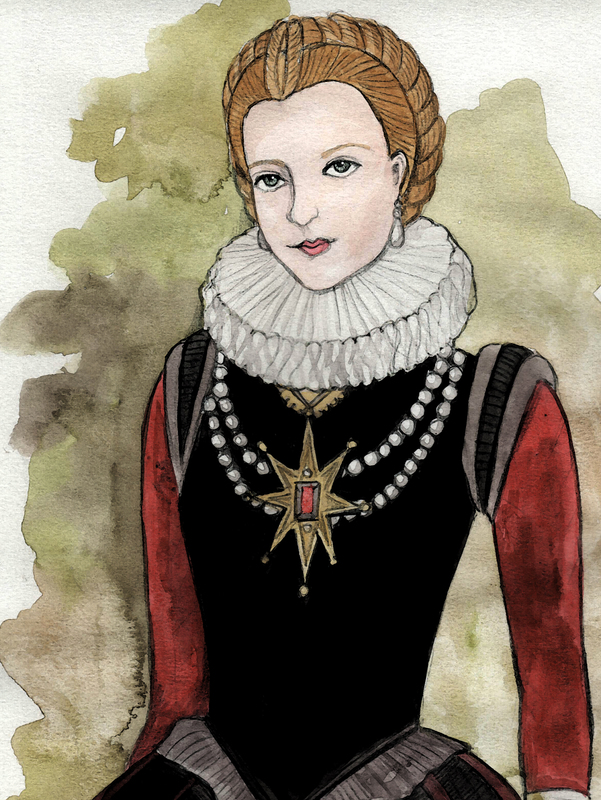 Gabrielle d’Estrées (1573 – 1599) was the official mistress of Henry IV. Although he was married to Marguerite de Valois, Gabrielle and Henry had a very public relationship. She was fiercely loyal to her King and accompanied him almost everywhere. They had five children (the last being stillborn) and were very affectionate. The King recognized and legitimized all of their children born out of wedlock. This was almost unheard of at the time. He also considered Gabrielle to be an important diplomat- even gave her a seat on his council. Again- unheard of! French Aristocracy did not approve of the affair- and nicknamed her “la duchesse d’Ordure” (the Duchess of filth.) Despite their opinion, Henry eventually asked Pope Clement VIII for an annulment so that he could be free to marry the lovely Gabrielle. In preparation, he bestowed upon her his coronation ring- but it was only days later that she suffered from complications during pregnancy, gave birth to a stillborn son, and then died.